Finished in high-gloss Rosewood Hall on select hardwoods and veneers. This table alarm clock is arched shaped and offers a nickel-finished metal base. The white dial features a polished nickel-finished waterfall bezel, black numerals and hands, silver second and alarm hands, and a glass crystal. 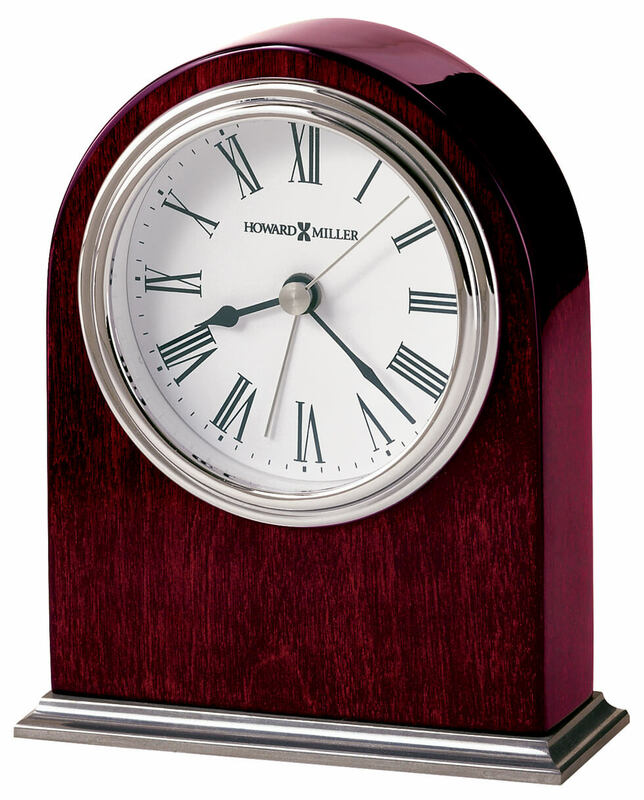 You will save $22.05 (30 %) on this Howard Miller Walker 645-480.